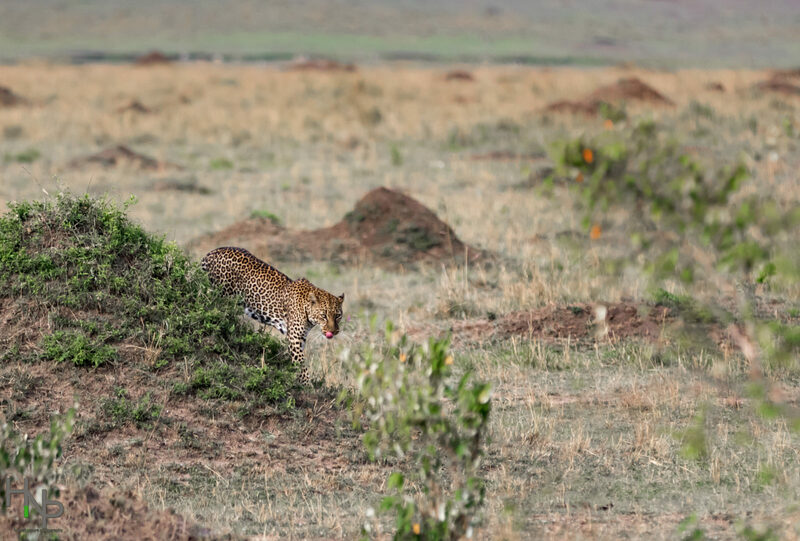 A female leopard patrols part of her territory which takes in the vast expanse of the Serengeti ecosystem in the Mara Triangle. Typically you see these scenes with termite mounds and spotted cats and you think prime cheetah habit. Very cool to have seen her in this setting.